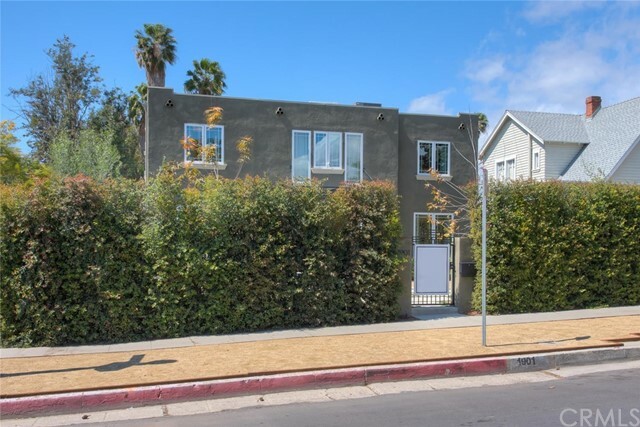 All Los Feliz homes currently listed for sale in Los Angeles as of 04/18/2019 are shown below. You can change the search criteria at any time by pressing the 'Change Search' button below. "Rare opportunity to own one of the most iconic architectural estates is Los Angeles. The exclusive Frank Lloyd Wright Jr's 1928 Samuel Novarro House perfectly situated in the most exclusive neighborhood in Los Feliz The Oaks. Perched on a promontory capturing spectacular canyon, treetop and city light views. Meticulously restored with dramatic windows, concrete floors and architectural details honoring the original vision of the master architect. Wonderful open living room and dining and 3 fabulous private suites each on its own level with large outdoor entertaining, dining and lounging spaces. Private swimmers pool and endless professionally landscaped gardens and paths. Outdoor dining area and firepit with large seating area ideal for an evening of music or a peaceful retreat to enjoy family, friends or guests. A timeless work of art designed to live the California lifestyle at its best." "Presenting a modern sanctuary nestled in The Oaks. The main level is flooded with natural light and opens to multiple outdoor living areas through sliding walls of glass. The public spaces include a formal living room, dining, gourmet kitchen with oversized island and a casual lounge. Dining terrace and balcony offer views of verdant Griffith Park. The rear yard features sparkling pool, spa, and BBQ. The spacious master suite features an incredible ensuite bath with architectural waterfall shower and soaking tub. Jack-and-Jill bedrooms, plus powder and laundry complete the main level. The lower guest suite with separate entry is perfect for hosting extended stay visitors, featuring private living room with outdoor patio, bedroom, and bathroom, plus lofted office area and media room. 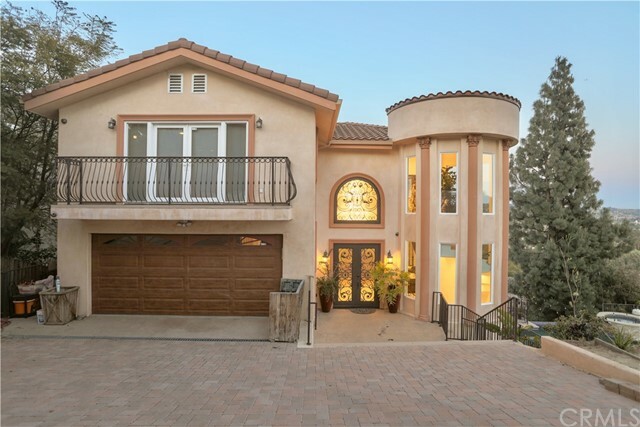 From the imported Italian tile to the French Oak floors and SMART Home technology, this home is the perfect balance of form and function set in a serene and natural setting in the heart of Los Angeles." "Designer's own home, sited on a promontory in the chic Los Feliz Oaks. This exceptional Contemporary SMART home, formerly a global superstars residence, boasts jetliner 180 degree views, that span across the city to the ocean. A seamless confluence of classic and modern elements, situated in a private, gated Zen-like milieu. Spacious living room & formal dining room, share a dual sided fireplace and massive wrap around deck. Dramatic walls of glass afford ample natural light throughout. No expense spared, from the exquisite Rosewood kitchen cabinetry with top of the line Thermador and Viking appliances, to the grand Master Suite, featuring a luxurious spa-like bathroom. Outdoor living spaces include terraces replete with expansive sliding doors off all rooms, a private pool and spa, garden shower and separate guest apartment with kitchen and bath. Two separate entrances allow for easy access on this street to street lot. One of the most versatile and exciting homes in Los Angeles." "Secluded; Gated and Private LOS FELIZ OAKS 1934 home. Tucked away behind a soaring tree and leafy private entrance, sited on a center island where celebs quietly converge, you are instantly enveloped by nature, stunning architecture, and a private garden ready for a pool. 4 cozy Bedrooms up and a side office. 3 Baths. Large pretty Living room with carved beamed ceilings, handsome fireplace, and room for your piano. A classic library/lounge with second fireplace, awaits your beckoning book collection. A true-to-period Bar off the dining room, yet another inspiration of authenticity. The two car attached garage provides direct access through the side garden and a bonus room currently used as a gym. Romantic East Coast bricked laid flooring winds through the front yardage; shaded nooks supplying comfy spots in warm weather months, multiple patios, alfresco meals when the weather is right, and hideaway spots to read and doze. An emotional architectural environment. Undeniably special."